Are you experiencing headaches on a daily basis since you got pregnant? I know they are super annoying but you can do a few things to help keep those headaches away or make them happen less often. Headaches in pregnancy are normal especially in your first and third trimester, with all of the hormone changes happening in your body you are bound to end up with one unless you are one of the lucky ones. You can end up with a headache on a daily bases while your pregnant due to poor posture, dehydration, hormone levels and vision changes. 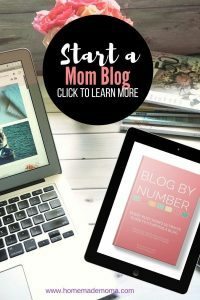 Here are ways to avoid getting headaches so you can get on with your mommy do list. So many changes happen to our bodies when we are pregnant that adding one more thing to worry about is stressful to say the least. 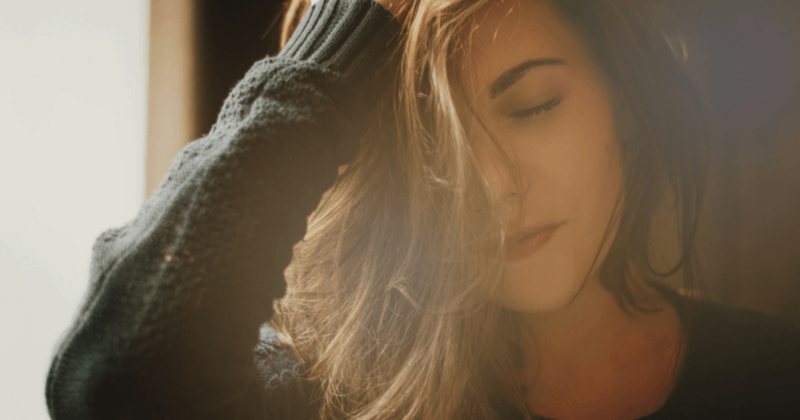 I have broken down for you why you may experience headaches, what is normal, how to treat them and when you should seek help so you can worry less. Your body goes through so many changes at this time, here are common reasons why you are having daily headaches during your pregnancy! Hormone Changes-A sudden rush of extra estrogen levels can overload your body all at once and cause headaches in the first and third trimester. Blood volume– An increase in plasma and red blood cell mass so you are able to support this new life. Dietary changes– Switching your diet suddenly due to being pregnant can cause headaches due to the withdrawals from caffeine and sugar. Blood sugar– Your blood glucose levels rise during pregnancy so if your sugar starts to dip suddenly it may trigger a migraine or headache. Nasal Congestion– Nasal passages swell at this time and can cause sinus pressure and pain especially if you have allergies giving you bad headaches or migraines. Dehydration– If you aren’t drinking enough water during the day this will cause headaches because your body needs that water for the baby to grow and survive. Stress– Being under a lot of stress can cause headaches and migraines from clenching your teeth or just thinking to much and possibly sleeping the wrong way plus carrying the added weight of another person. Food– Some food can trigger a migraine as well, you may be more sensitive to different food then you used to be and they can trigger migraines. Here are some treatment for those pesky headaches that will help you get them less often. Most of them have to do with your diet and intake of water, these are the most important reasons why you may be experiencing headaches daily while pregnant. Your body is trying to tell you that it is missing something, the faster you catch onto this the better you will feel. Follow these super simple guidelines. Hormone and Blood Volume Changes–Get plenty of exercise and eat a well balanced diet this will help combat these headaches due to blood volume and hormones, you can also try some apple cider vinegar diluted with water and lemon water to help ease the hormone changes and give you less headaches. Dietary changes-Suddenly stopping the caffeine will cause headaches for sure so in order to keep this from happening you can allow yourself a moderate amount from 150 mg-300 mg a day which is about an 8 oz cup of coffee and a 12 oz Dr Pepper. Blood sugar– In order to avoid low blood sugar you should eat a snack in between meals that is high in protein and also smaller more frequent meals. Try to avoid super sugary snacks these will speed up your sugar and cause you to have low blood sugar faster. Nasal Congestion-You can use a neti pot or nasal spray to help ease the swelling and pain so you can breathe better. Dehydration– Carry with you a water bottle so that you remember to drink throughout the day, you should be drinking 8 to 10 glasses a day to help support your growing baby. Stress– Go to the chiropractor once a week to make sure your body is aligned right and also if you can get a massage from your partner or a licensed professional once a week or month that would help reduce tension and stress. Even some quiet time in a peaceful place or doing some yoga would be helpful. Food– Some food triggers migraines such as Chocolate, Alcohol, Yogurt, Peanuts, Preserved meats and bread with fresh yeast. If you find you are getting migraines after eating any of these food you should avoid them. If you do have a migraine try to lay down in a dark room with a cold or warm cloth on your forehead or back of the neck and relax by doing breathing exercises. Sometimes a warm bath helps as well or even some aroma therapy. If these headaches get worse or persist for a day or more call your doctor, especially if you have any of the symptoms listed below! If you are short on sleep this can trigger headaches as well so try to take naps during the day and go to bed early at night so you can be more rested and have less chance of a headache due to exhaustion. I want to make sure that you know what the difference is between a regular headache and a migraine just to make it clear what makes them different. A headache is an ache in your head that goes away in a few hours after eating or drinking water. A migraine is a headache that is behind your eyes or pounding in your head giving you nausea and make you unable to do anything but lie down. If you are experiencing frequent migraines during your pregnancy let your doctor know right away and find out what is safe to take for them. You may need to be seen right away to make sure it isn’t something more serious. The warning signs to look for with headaches are high blood pressure, headaches lasting longer then usual (if you have suffered frequent headaches when not pregnant), happen suddenly and are severe. These are signs of preeclampsia formerly called toxemia, which can cause blurred vision, abdominal pain and swelling of the hands and face. You will have high blood pressure when you haven’t experienced it before and protein in your urine. This typically shows up in the second or third trimester but can show up earlier as well. 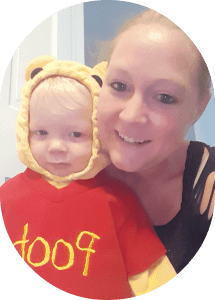 If this condition is undiagnosed it can put you and your baby at risk! If you do experience frequent headaches it is important to talk to your doctor about them and how to treat your headaches safely, you can be monitored and they will know if something is wrong with you if they should spot symptoms or you experience any new ones. Always call your doctor if you feel like something is wrong or you have a question, you are the only one that knows how you feel and it is important to speak up if you don’t feel right!! Try to enjoy your pregnancy and the time you have to yourself before the baby arrives, take some time to relax and unwind each day. Get plenty of exercise and fresh air so you can sleep better and feel your best each day. Your growing a human being inside of you which is a beautiful thing!! 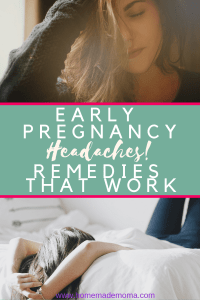 I hope this post has helped you get a better grasp on why you are experiencing headaches while your pregnant and you can get some relief from them and have a better time in your pregnancy. Save this post for later to Pinterest!! !